Writing is a business. Today, the publishing world is going social and digital, and writers need to do the same. Editors are looking a writer’s social numbers – that’s the number of people who follow your blog, Facebook, Twitter, Instagram, Pinterest, etc. Writers can’t wait until they sell a book to build an audience. The time is now. Gone are the days were publishers would send authors on five-state, 20-bookstore media tour. Today, publicity and marketing is up to the author, and a cheap way to do both is through a blog. YOU are the brand. New writers –just as much as published writers — need to make connections with readers, booksellers, book reviewers, editors, agents, et al. Family and friends help, but writers need a wider, far-reaching readership. It takes time to find readers, and the sooner a writer starts the better. This is especially true for unpublished writers. Get your name out there now. Your blog is one of the few places where you can self-promote again and again without being obnoxious. Post a countdown to your publication date. Have the links to all the places your book is available for sale, et al. Blog about where you got the inspiration for the story; your research; locations where you’ve set your story. Blog about your characters; do interviews with them. Blog about writer’s conferences/ workshops you attend. Post scenes, dialogue, excerpts. It wets the reader’s appetite for more of your work. For example, author Diana Gabaldon used to post her work on the internet for readers to critique. By the time her book was published, she had hundreds of people waiting for it. All your blog posts should contain photos. But photos can be blogs in and of themselves. A picture is truly worth a 1000 words so share away. For example, flowers, dogs/cats, locations, dresses, landmarks, oceans, et al. Put up photos of what your characters look like; photos of locations/cities where you’ve set your book. Your readers will love it. Interview other authors, editors, agents, other bloggers, librarians, booksellers. You can also interview people that are in the same profession as your characters. These can be great learning experiences for you and other writers and readers. Yes, hobbies and pets make good blog fodder. They are fun ways to connect with readers. For example, author K.M. Jackson has a great blog and she always adds snippets about her dog Jack. Readers often ask about him, and keep going back to her to hear about the dog’s antics. Another example, author Nalini Singh writes a leopards and wolves series. She also posts photos of cubs and pubs on her blog, and now her readers are sending her photos for her blog. That engagement with your readers is priceless, and is what all writers want to achieve. These are topics that touch upon the themes in your book. For example, if you are writing a cop thriller, blog about cops, guns, bounty hunters, etc. If you are writing the paranormal, blog about zombies, vampires, shape shifters, ghosts, angels that are in your books. If your main character is a baseball player, blog about baseball. Etc. Etc. You get the idea. Volunteer to blog for other authors and other writer sites (like this one). This will expose you to other readers and help build your brand. Make your blog posts “short, sweet and to the point.” 100-250 words are more than enough. Add photos to all your posts. Visuals are important and make great promotional tools. 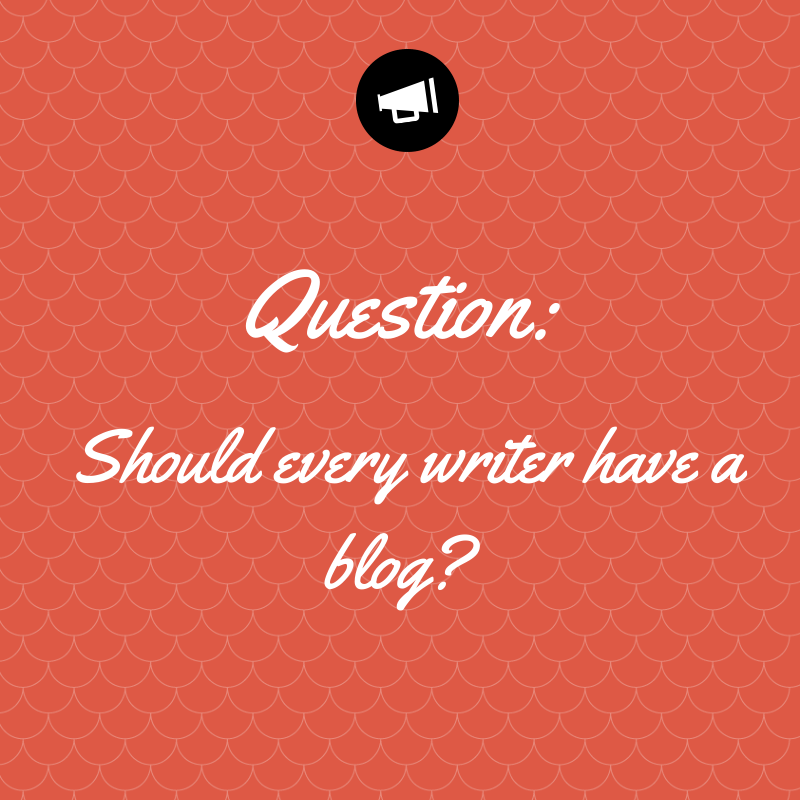 Always make sure to check for spelling and grammatical errors before you post your blog. You want to put your best writing forward. Maria Ferrer is a meeting planner by day and a writer by night. She blogs weekly, and has a picture blog on Fridays. Maria also runs The Latina Book Club, whose mission it is to promote Latino authors and literacy. Visit her at blog and her website. Very good tips 🙂 I also think having a blog is such a great way to connect with other writers, and help build a support network. Great post! I intend to follow all these tips. May I volunteer to blog for your site?